dead link. mediafire is supposedly scanning uploads and checking them against a database of digital “fingerprints”. they’re pretty much done as a file-sharing service. Jefre, you could use zippyshare or sendspace instead! URGH! Ok, will re-up this right now. Ooooh, thanks for the quick re-up! Appreciated. this is so amazing! thank you so much! This is his only available set of recordings…Ashikawa passed away shortly after it was released. 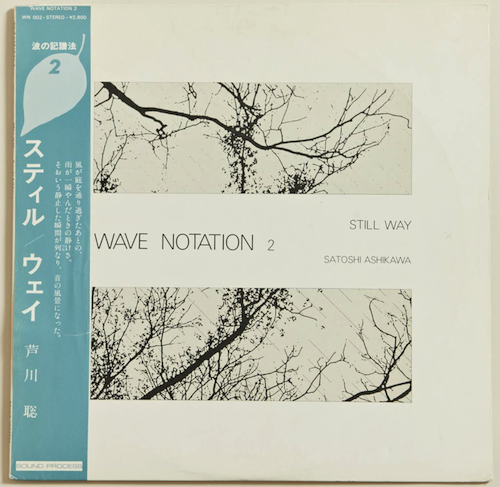 There are two other LPs in the Wave Notation series on the Sound Process label (which Ashikawa ran), the first being Hiroshi Yoshimura’s “Music for Nine Postcards” and the last being a collection of Erik Satie pieces performed by Satsuki Shibano. What a beautiful recording. Like Japanese Morton Feldman. I listen to this on the NYC subways. Thanks for posting. One of the best thing heard this year, with the In Thin Air mix.